The central bank of Egypt has slashed the value of its currency to 8.85 pounds to the US dollar from the previous exchange rate of 7.73. Economists say Monday's devaluation was necessary to avoid the bank spending foreign reserves to prop up the national currency. The treasury says it plans to adopt a “more flexible exchange rate” policy to boost the country’s foreign reserves and to attract investment into the banking system. Earlier the regulator sold $198.1 million to local lenders at 8.85 Egyptian pounds per dollar. The Egyptian pound has been declining in recent weeks, dropping to historic lows against the dollar on the black market. The country's foreign currency reserves have plunged by over 50 percent since 2011. The central bank is focusing on increasing reserves to $25 billion by the end of the year, according to Egypt's state news agency. A short dollar supply has strangled businesses and restricted Egypt’s capacity to import essential goods. A key resource for the country is hard currency as tourism and foreign investment have never recovered from the years of turmoil since the 2011 uprising and political unrest. 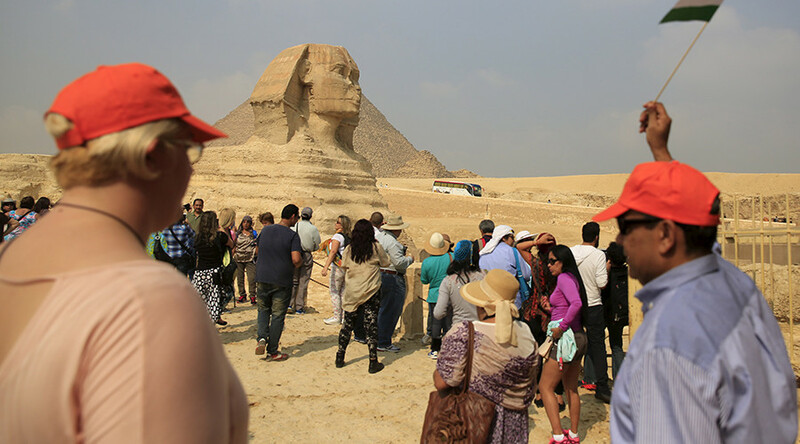 Egypt’s tourism revenue has fallen by about $1.3 billion since a Russian airliner was blown up by terrorists over the Sinai Peninsula last October. Shortly after the crash Russia stopped all civilian flights to Egypt. Economists see the devaluation as a necessary step to boost Egypt’s competitiveness and bringing back foreign investors. However many Egyptians express concern the measure would cause a surge in prices.